'Pop music for people who are being bored by pop music' is the motto of the specialist ensemble Birds of Vienna, the instrumental trio around accordionist and pianist Heidelinde Gratzl, with Melissa Coleman, violoncello and Helmut Jasbar, guitar. 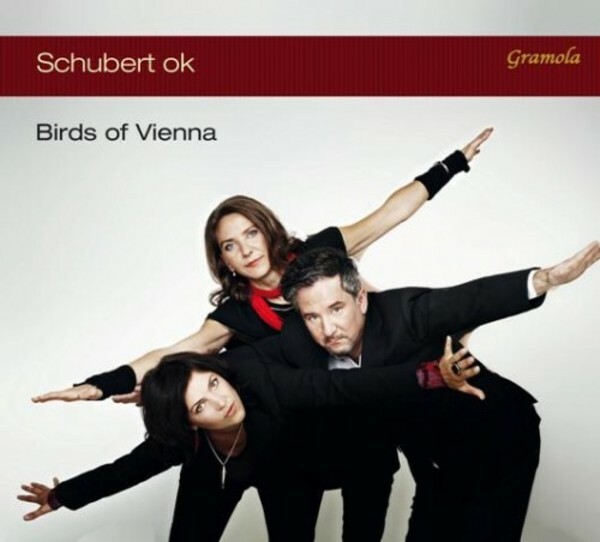 Birds of Vienna call their music 'Acoustic Chamber Pop', deriving their unique style from different musical genres whilst upholding a close connection to their musical Viennese roots. The current release features the musical genius of Franz Schubert. Besides adaptations of L�ndler and dances, the ensemble also appears as composers of works titled Death and the Maiden � Six New Variations, 'Schubert h�rt sich ein Lied an' (Schubert is listening to a song), Schubert's Belongings or Schubert ok. These compositions testify a profound commitment to the 'Schubertian' essence of these character piece-like miniatures.